Having a go in a blisteringly quick four-door rival to the Porsche Panamera, courtesy of Mercedes-AMG. Mercedes-AMG has a go at making a car that should stem the steady leaching of its well-heeled customers, who are ultimately migrating to the Porsche Panamera - and, as you would expect of AMG, the results are cracking. Mercedes-AMG's attempt to stretch what is a two-door coupe model, in the form of the regular AMG GT, into the shape of a four-door, high-performance express is actually a very successful one. While there's obviously some concern about 'range crossover' with the less exotic CLS 53 product further down the AMG tree, the GT nevertheless conveys a suitably more grandiose air. Partly this is down to the fact you can't get the GT as a regular Benz, whereas the CLS can obviously be specified with powertrains that aren't assembled by AMG, but it's also simply that the newcomer has genuine head-turning presence. Anything with 20-inch alloys, active aerodynamics (the spoiler at the rear being the most obvious component of this technology), quad exhausts and that aggressive 'Panamericana' grille is hard to ignore, and the AMG GT four-door is an undeniable 'looker'. OK, it's not quite as taut as the two-door GT, but we'd certainly say it has Porsche's most handsome Panamera yet licked for kerb appeal. Inside, the interior feels more CLS than GT, because the beautiful dashboard is dominated by the twin 12.3-inch widescreen displays of the more saloon-like upper-end Mercs of the late 2010s, rather than a standalone infotainment screen and then a largely analogue instrument cluster. Down the centre console run a number of switches, in two banks, that control all the adjustable settings on the AMG GT four-door, but these are also subtly different to the buttons in the sports car model - in, say, a GT R, they're physical items, but in the four-door, they're small LCD displays that change graphics and colours, according to their settings. They're echoed by clever little digital switches on the wheel, which allow the driver to cycle through all of the various settings by tapping the touchscreen part of their make-up, in turn allowing clicks of the two plastic buttons next to them to change the suspension or the exhaust or the traction control and so on. They're like BMW's 'M1' and 'M2' steering-wheel mounted buttons, only much more versatile. Then there's the rotary drive control switch to the right of the wheel's boss, again with a digital screen embedded in it. All of which astounds you, long before we've addressed the fact the rear bench has a truly generous amount of room... albeit, you get two seats as standard back there, three chairs being a cost option. Specify those, and the rear-seat backs can be folded down, which makes something of a misnomer of the AMG's 'four-door' badging, as it's actually a five-door. In essence, the AMG GT four-door leaves you in no doubt as to its ultra-prestige status, long before you've fired up its engine. It looks magnificent inside and out, and comes with a wealth of top-end toys to back up the ambience, although there is - as ever, with German machinery - a still fairly lengthy and costly options list. Just two models are confirmed for now: the AMG GT 63 and the AMG GT 63 S. Either uses a derivation of the tried and trusted biturbo 4.0-litre V8, first seen in the GT two-door, which drives all four wheels through a nine-speed AMG Speedshift transmission. The 63 delivers 585hp and 800Nm, plenty enough grunt for a 3.4-second 0-100km/h sprint and 311km/h flat out... this, despite the fact the Mercedes-AMG weighs 2.1 tonnes. Naturally, as a madcap AMG, then there's the 63 S for those who think the face-tearing acceleration of the 63 is just not good enough. That single extra letter in the car's badge denotes a 639hp/900Nm iteration of the V8, which are frankly insane numbers - and they trim the 0-100km/h time to 3.2 seconds, while increasing the top speed to 315km/h. Let's get the painfully obvious stuff out of the way first of all. Either of these AMG GT four-door models is quick, with a capital 'FUPPING'. Honestly, the way the 63 punches at the horizon is enough to take your breath away, but the 63 S is even more demented, ripping through its lower gears of the gearbox in a frenzy of sheer, relentless pace. Bearing in mind we drove the 639hp model in a snowstorm, we decided to test this neck-snapping acceleration a few times and then treat the car with a little more decorum. Good job we did; the licence-losing potential with these two is immense. Also obvious, given it's an AMG V8, is the fact it makes a terrific noise, but we shouldn't downplay the AMG GT four-door's soundtrack just because we've heard great noises from the company's products before. Once again, Mercedes-AMG has managed to coerce yet another, subtly different tune from the same musical instrument. This sounds angrier than a C 63 S and throatier than an E 63 S; and not even like the GT two-door with which it shares so much stylistically. It has a lovely, rich throb to it and with the exhaust in its most strident modes, it'll crackle, bark and rumble like the very best mad Mercs of years gone by. 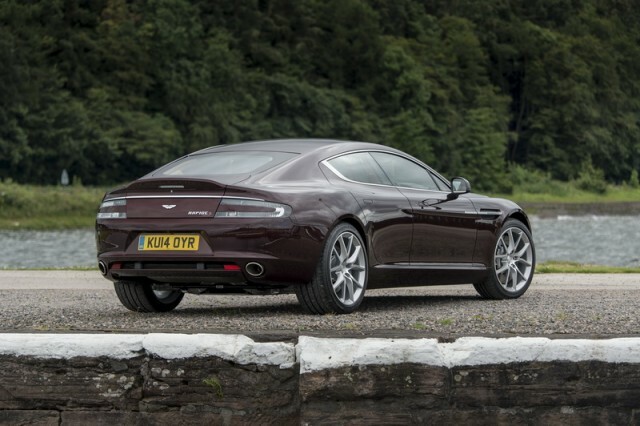 A long-distance GT it may be, but the speed and sound of the four-door cannot be faulted. Nor, on almost every count, can the handling and ride characteristics. For such a big, hefty car with so much power on tap, the AMG GT four-door is ridiculously agile and rewarding. AMG seems to have the knack of getting modern electric power steering set-ups right and this car is no different, offering superb feedback and spot-on weighting in all of its various modes. The AMG GT is also ably abetted by the rear-wheel steering seen on the more potent pair of the two-door family, namely the GT C and the GT R, and so it'll pivot itself so admirably in fast corners and high-speed direction changes that it feels like something half its size and mass. Grip and traction are off the charts, meaning the GT's cross-country pace is simply colossal, but crucially it feels like there's some movement, some playfulness in the AMG's chassis that will satisfy the most demanding of drivers. As a luxurious car that has a sporting bent, it really does convince most ably. Wonderfully, its suspension is absolutely first-rate. In Sport+, on very poor road surfaces, there's just a touch too much in the way of abrupt vertical movements from the body, but at all other times this setting is more than bearable on the roads - and that's the most aggressive suspension programme the AMG GT has. In Sport and Comfort, it has a proper lope to the way it oozes along rucked-up tarmac, never once reminding you it is rolling along on 20-inch wheels with low-profile rubber. So, its tremendous thirst for petrol aside, you could imagine doing many, many kilometres at a stretch in the AMG GT four-door. Thus, aside from the slightly too firm Sport+ damping, the only other minor black mark we can think of relates to the brakes. They're AMG whoppers, which are more than capable of repeatedly sloughing off speed, but - as with so many heavy cars that otherwise do a grand job of convincing you they're not that beefy - it's when you really need the most retardation that you can feel you're performing the uncomfortable task of trying to stop a two-tonne limo from sports car pace. You feed in a bit of brake pressure, note that the corner ahead is still rushing towards you more than you'd ideally like, bleed on a bit more left-hand pedal, still note you're carrying a lot of velocity and then you'll stamp on the anchors to finally get it to swiftly slow down. With a little bit of familiarity and more distance under your belt, you soon work out where and when the best braking points are for the AMG GT four-door, but at first it feels just a tiny bit disconcerting trying to get the hard-charging beast to stop. This is a casual observation and one which only applies if you're driving in a spirited fashion on the road, but it's about all we can criticise the Mercedes-AMG for. Otherwise, it's a quite remarkable first effort at this sort of hyper-quick supersaloon-slash-coupe, it really is. A storming first effort out of the box from Mercedes-AMG, the GT four-door is an immensely intriguing prospect. It blends much of what makes the CLS and E-Class so appealing, while mixing in the true desirability of the two-door GT sports car models as well. Throw in monumental performance (especially as the GT 63 S), exciting handling and first-class refinement, and what you have here is already one of the greatest four-door, high-performance cars, of any ilk, that has yet made the market. 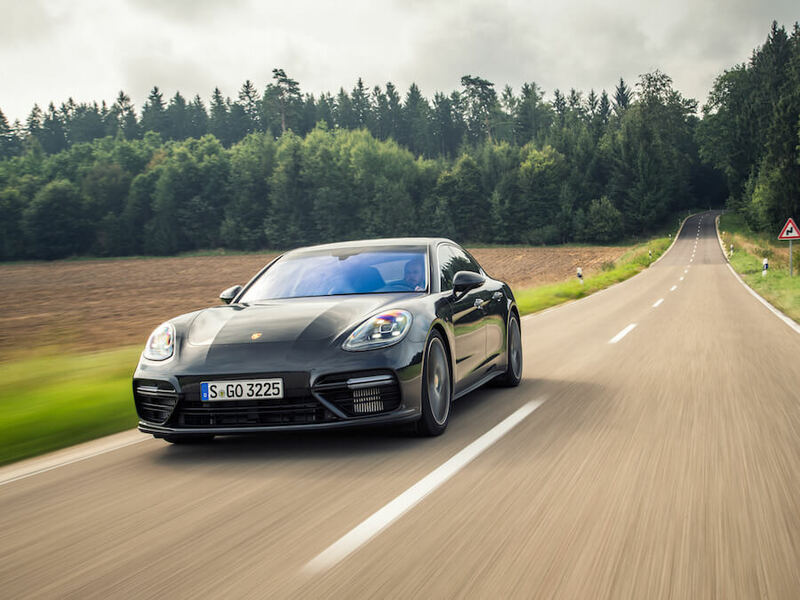 Still absolutely sure you want that Panamera...? Aston Martin Rapide vs. Mercedes-AMG GT 63 S four-door (2019): gloriously charismatic and from one of the most coveted motoring marques in the world, but it would take an Anglophile the size of Texas to try and convince you that the Aston was, dynamically speaking, even a patch on the GT four-door. 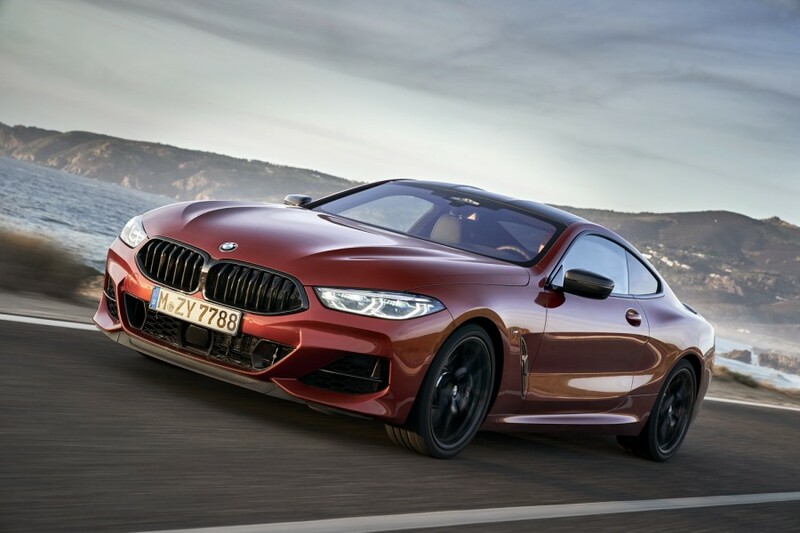 BMW 8 Series vs. Mercedes-AMG GT 63 S four-door (2019): there's no M8 (yet) and no Gran Coupe version (yet), but they're both on the way. Regular M850i has already shown there's a lot of potential in BMW's GT flagship; one for the Merc-AMG to watch, then.